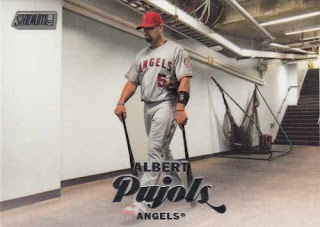 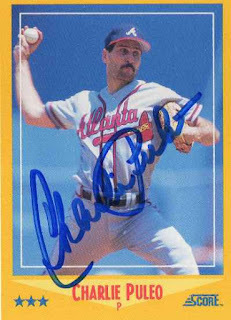 Puleo signed my cards in about a month and answered a couple of questions - it's a nice bonus when I write a former MLB player and get any sort of personal response. About his preference between being a starting pitcher or a reliever - he wrote he was "more effective in the big leagues as a reliever." 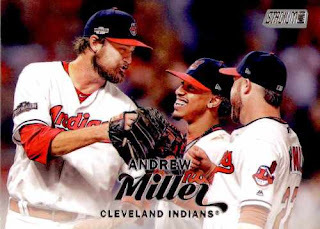 How a pitcher, his catcher and pitching coach may have a game plan for an outing - he wrote "all 3 work together, but pitcher always had final say." 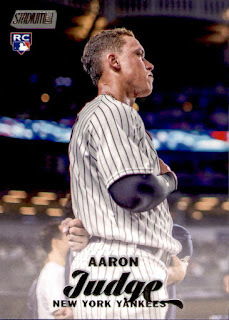 I was glad to pull an Aaron Judge rookie card in my first blaster since this was a more pedestrian second box - I'm probably 'fake collecting' this set where the goal is cherry pick cards with unique images that pop. 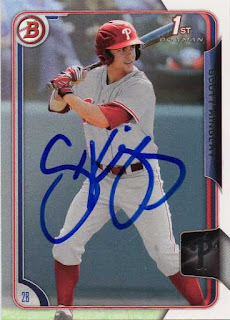 The Philadelphia Phillies prospect signed my cards in about three weeks c/o his minor league team - after hitting a combined 8 home runs in parts of two minor league seasons, the second baseman has slugged over 20 home runs between AA/AAA this year. 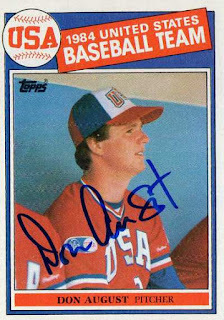 The former big league lefty signed my cards in about four weeks - with regards to retired MLB players who seem to be nearly forgotten once they stop playing, I'm kind of mostly familiar with the guys who came up through the early 1990s, maybe towards the tail end of the junk wax era. 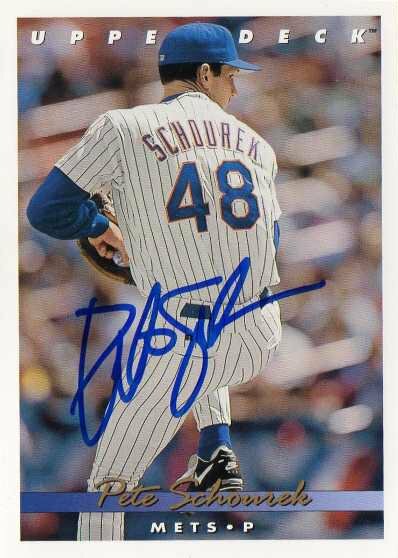 I kind of remember Schourek as a young pitcher with the New York Mets, then won 18 games with the Cincinnati Reds in 1995 - Schourek had an 11 year playing career, but never did replicate that one breakout season for the Reds. I visited a card shop to see if I could sample some packs of 2017 product - with individual packs [2017 Topps Allen and Ginter, 2017 Donruss Optic] reaching $5 however, I opted to buy some supplies [penny sleeves, magnetics and other holders] and loose cards from the quarter bin instead. 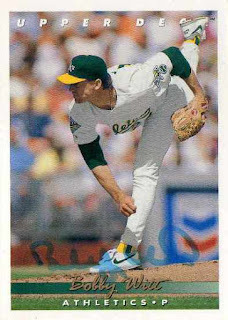 Even if I've forgotten specific, sentimental memories about 1992 and collecting - looking back, that year was really where I might have hit my collecting prime, where I was interested in all sorts of cards, trading with a friend or two, looking up cards in monthly price guides, et al. 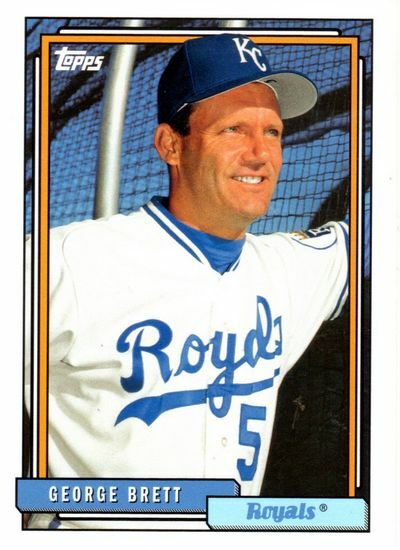 George Brett #254 - I don't actively collect basic star cards, though I grabbed this one to add a current year retro card to my miscellaneous collection of Brett cards. 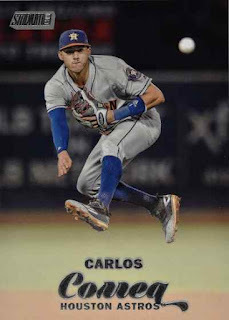 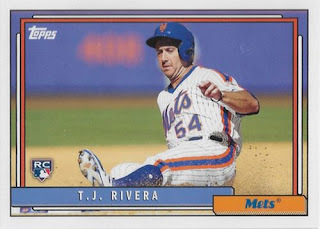 T.J. Rivera #257 - The New York Mets aren't going anywhere, but Rivera has stuck around as a 28-year old rookie infielder who has show he can hit in the big leagues. On this card, Rivera looks like a middle aged guy who paid $4,895 to go to Mets fantasy camp - having the time of his life, sliding into a base in an old-school Mets uniform. 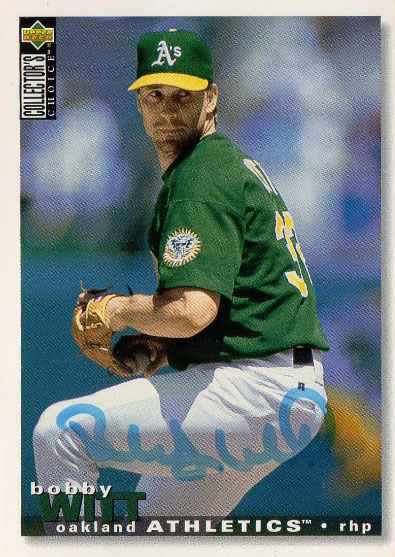 Rob Zastryzny #261 - I try to grab rookie logo cards of seemingly less heralded rookies when I can find them, just to kind of see if I can have one more card of a fringe big league player. Randy Johnson #265 - I like the horizontal image picturing a languid Johnson in an Montreal Expos uniform. 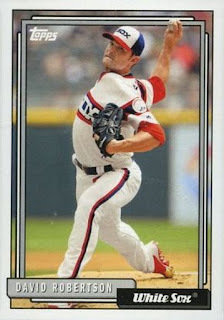 David Robertson #282 - I grabbed this card for the mid 1980s style retro uniform Robertson is wearing. 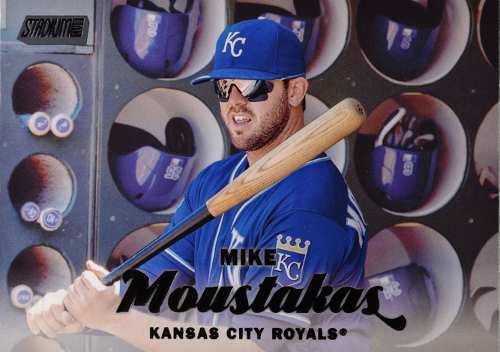 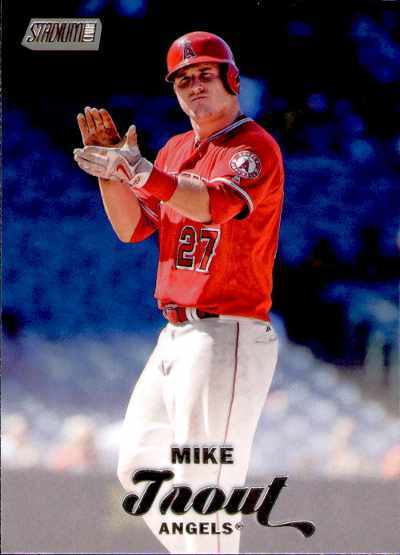 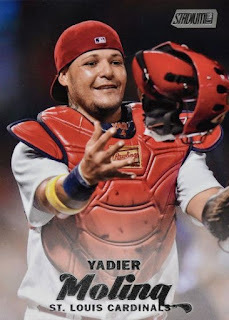 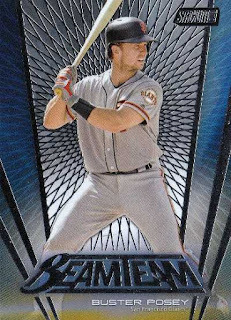 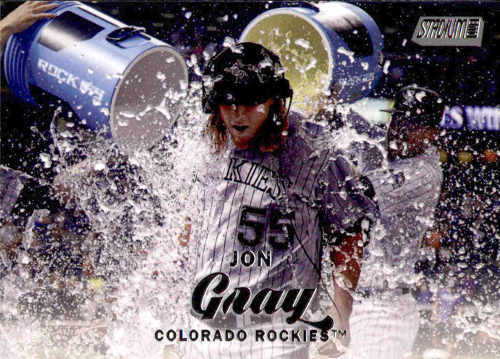 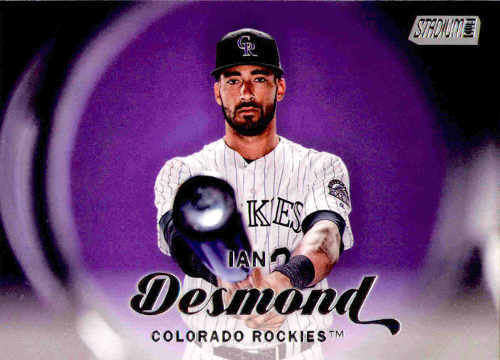 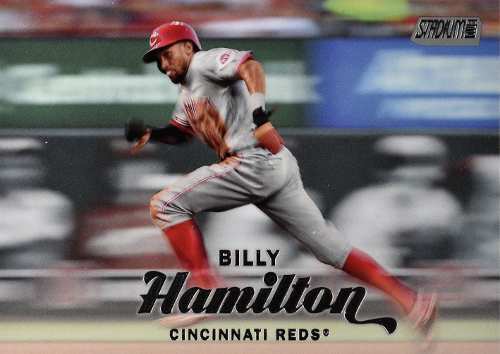 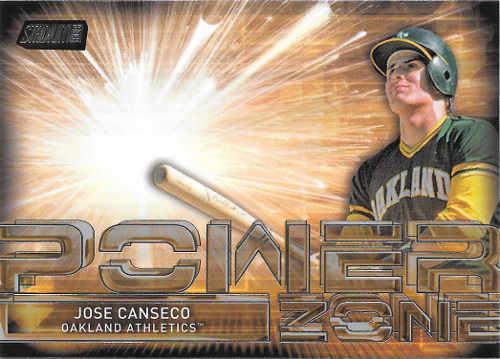 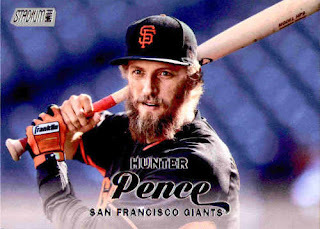 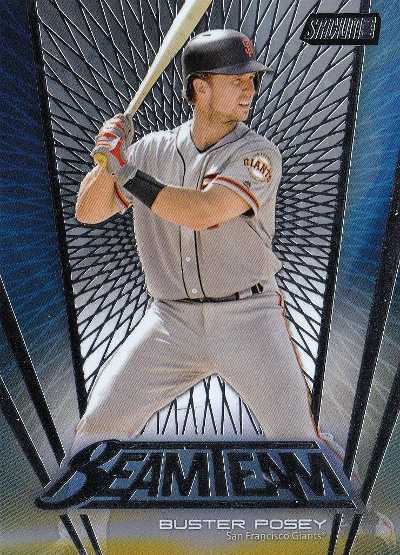 As much as I try to be a mini-collection 'hawk,' where there is no chance this card isn't going to be a part of my stash of card shop finds to take home - this might as well be a card I may not care to find again, if I didn't pick it up the first time I saw it. 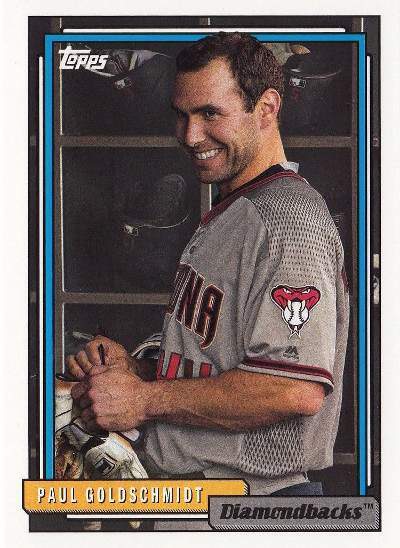 Paul Goldschmidt #287 - I picked this up to show my love, 'nickel-and-dime' style, to the first baseman who has been under the radar for years and having an MVP caliber year for a contending Arizona Diamondbacks team. Jones, a 19-year old Angels outfield prospect was promoted to Inland Empire 66ers and I was able to get him to sign a couple of cards - before his first game in the California League. 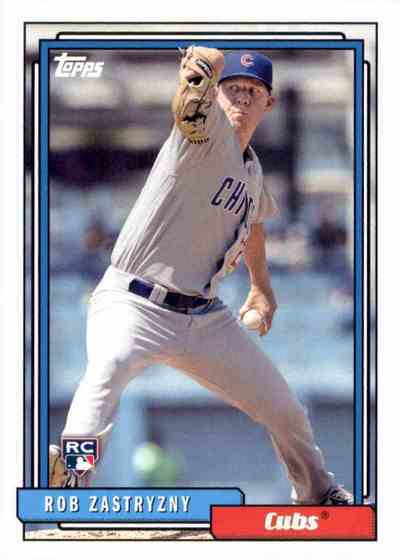 Rutherford is the centerpiece player among a trio of prospects [Ian Clarkin and Tito Polo are the other two] - sent to the Chicago White Sox by the New York Yankees in exchange for Todd Frazier, David Robertson and Tommy Kahnle. 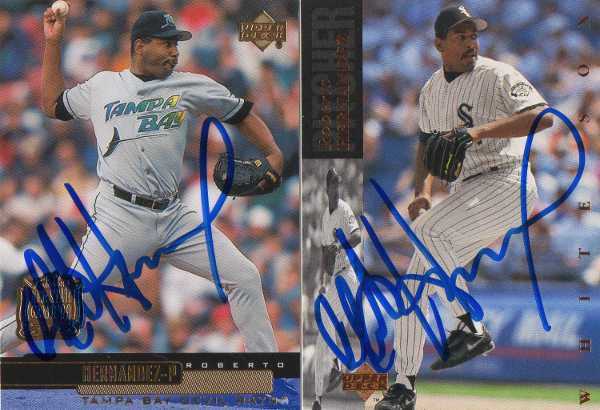 I was able to get Rutherford to sign a couple of cards c/o the Yankees training complex last fall when he was in the instructional league - I assume he must have taken his mail home to California, where he's probably gotten help from his mom answering fan mail. 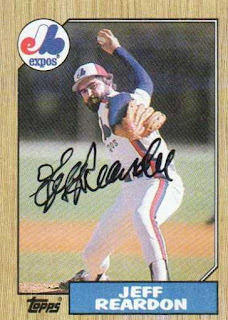 Rutherford's mom probably added the extra signed card [pictured] - while writing a small note acknowledging my requests. I picked up a couple of blasters online in case the big box stores ran out - or I'd be a little self-conscious about buying cards in-person. 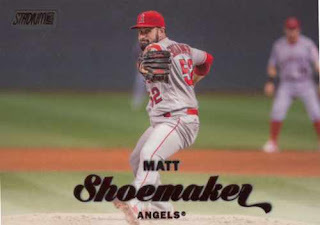 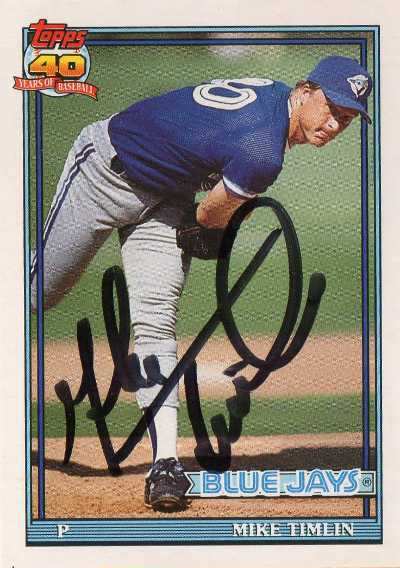 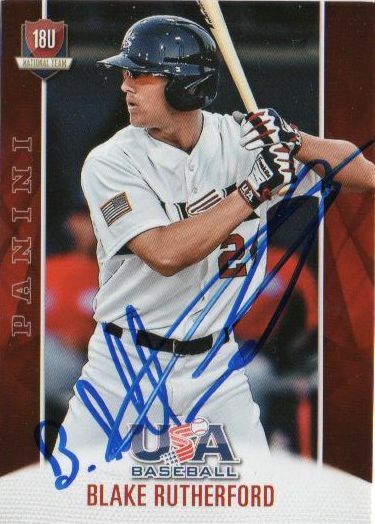 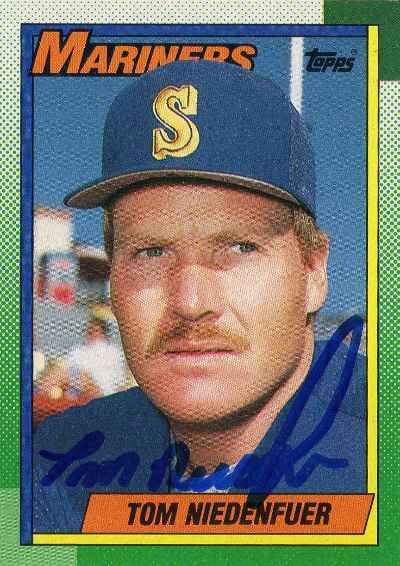 The former big league reliever signed my cards in about 3 weeks - in his 18-year playing career, Timlin played for six teams and was part of four World Series championship teams between the Toronto Blue Jays [1992 and 1993] and Boston Red Sox [2004 and 2007]. 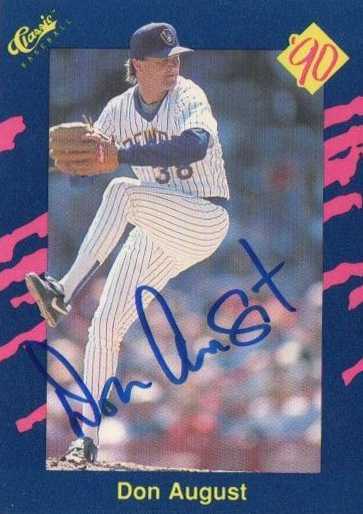 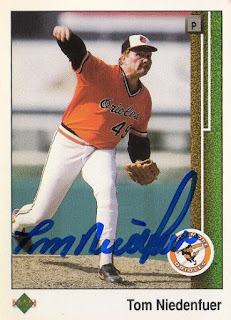 August signed my cards in about three weeks - he was the 17th overall pick in the 1984 MLB draft and spent four years in the Major Leagues as mostly a starting pitcher who finished with a W-L record of 34-30. 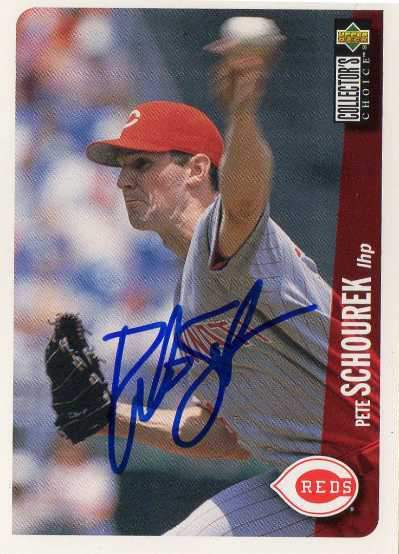 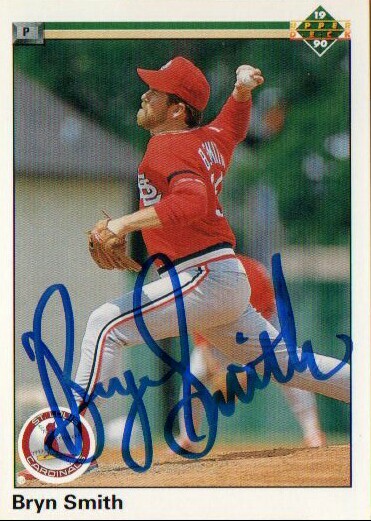 The former big league closer signed my cards in about three weeks - in the 1990s, I vaguely remember him going for some sort of save record, though in the time since, he has been lapped by other relievers. 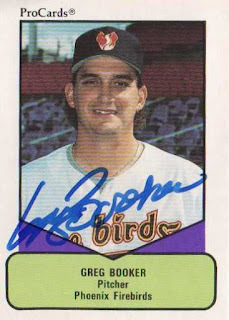 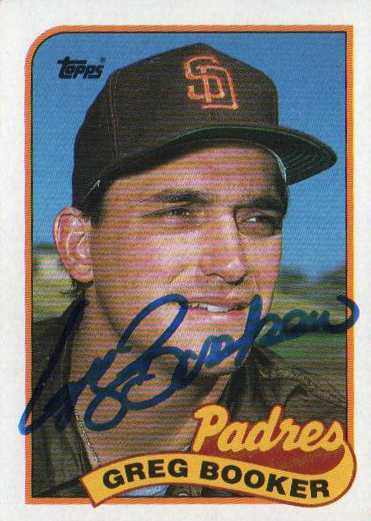 The former reliever for the San Diego Padres signed my junk wax cards in about two weeks or so - though Booker played in parts of 8 seasons in the big leagues, how he got there and stuck around may have been in question at different points in his pro baseball career. The former big league closer signed my cards in about a couple of weeks - I must have gotten his autograph at least once during his 17-year playing career, though I don't know if that was actually the case, so I figured to send him some cards. 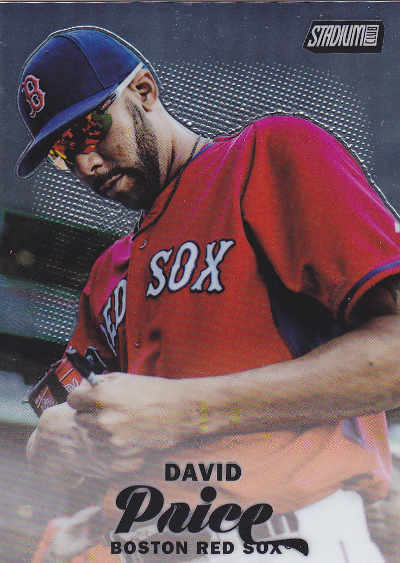 When I pulled the 2017 Topps Bunt Programs insert, I knew I had to get ink on the jazzy looking card - as an in-person/TTM autograph/card collector, the problem with pulling a nice [if low-end] insert is the fact there is no means to get any particular one signed if the card features an active big league star or a prominent retired player. 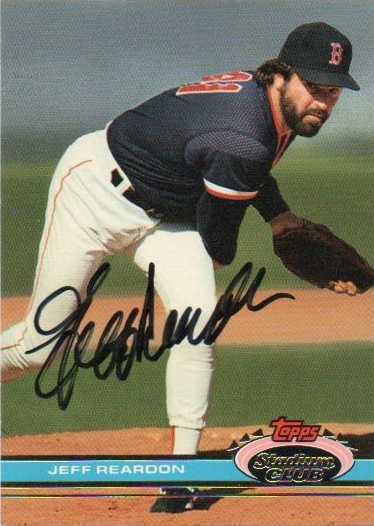 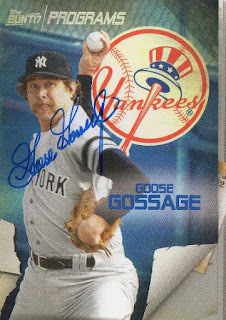 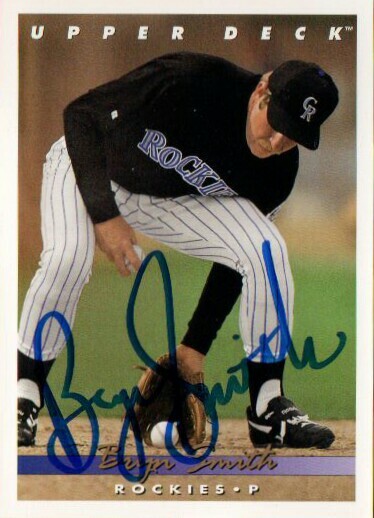 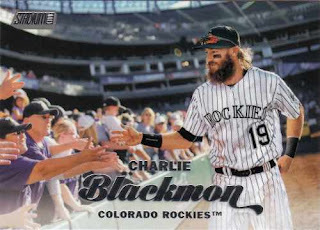 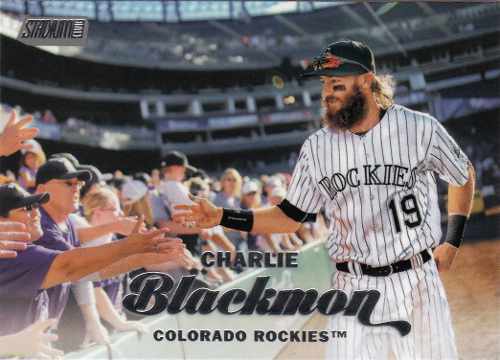 In some instances however, there maybe a window to get something signed, where the player pictured does sign in-person/TTM - on SCN, I saw Gossage was fairly consistent in sending back returns and it took just about a month to get a successful response. 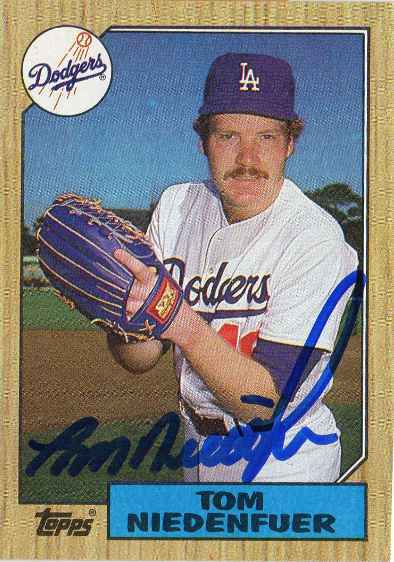 I was able to round up some junk wax era cards for the former big league reliever and he signed them in about a couple of weeks - Niedenfuer was a serviceable pitcher who spent 7 years with the Los Angeles Dodgers through the 1980s. 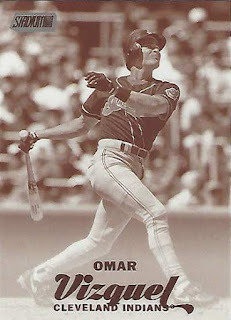 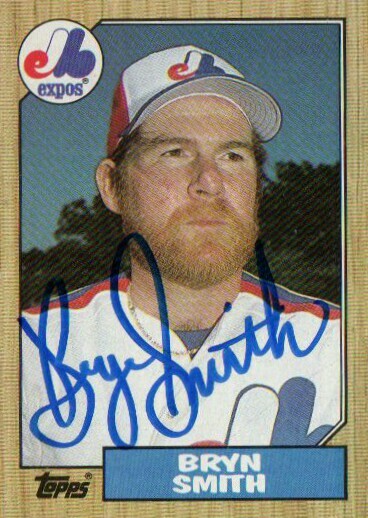 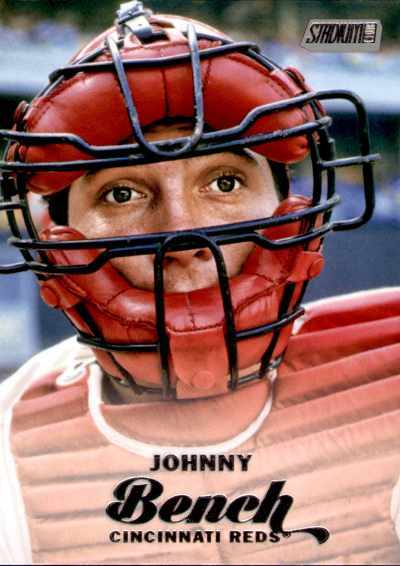 Unfortunately, despite his success, he was on the wrong end of a couple of big league home runs - hit in the 1985 National League Championship Series by Ozzie Smith and Jack Clark. 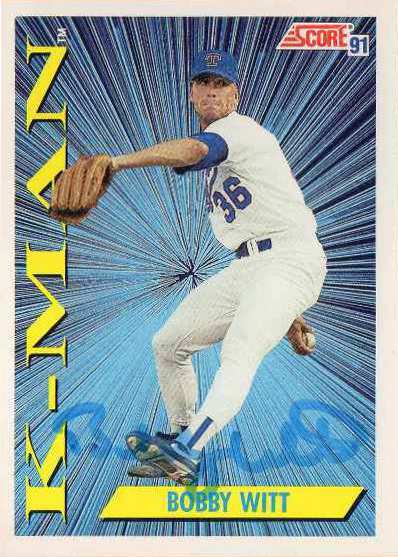 After pitching for the Dodgers, he had stints with the Baltimore Orioles, Seattle Mariners and the St. Louis Cardinals - before leaving the game for good at age 31. 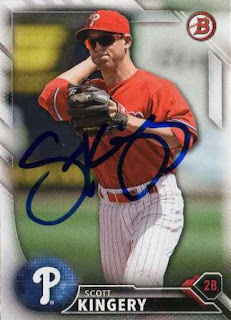 The former Major League pitcher signed my cards in a couple of weeks and returned a lone card unsigned - as a collector of random scribbles, I like my cards autographed in the standard blue Sharpie. 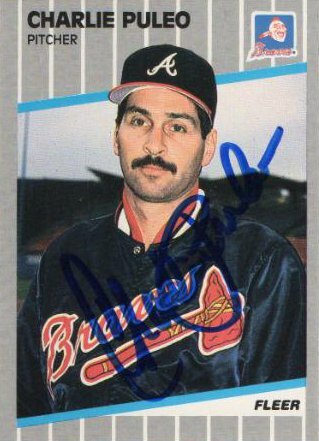 However, unless I send someone I'm writing a request to a spare Sharpie - I can't control what pen a person has in his possession. 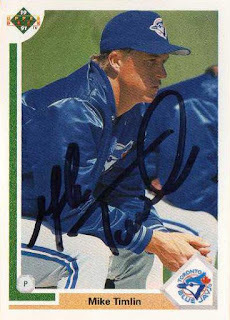 Unfortunately, the pen used to sign these cards seemed a little irregular - where the autographs came out really light as opposed to bold and legible. The former Major League pitcher signed my cards in 7 days - though I've ended up with his junk wax era cards over the years, I've never had bothered to send him a TTM request until recently. 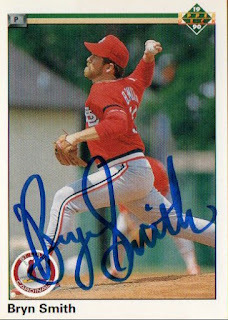 From what I've seen, Smith has always had a bold and legible autograph - so I wanted to check him off my TTM list of random guys who've generally been good signers.